Remember those friends you had that never, ever had to wear glasses or contact lenses. They were just blessed with perfect vision and never even entered the door of an optometrist's office growing up. They went through life knowing how lucky they were and thinking how awful it was for those poor glasses wearing people. Then a little thing called 40 happened. Believe me, for the people out there with perfect vision (known as emmetropia by the way), the development of presbyopia is a truly terrible occurrence. All of a sudden, they can't see to do the things they used to do so easily. Reading, computer use, using the cell phone. All of it is blurry. When they try to do any of these activities for extended periods of time, they get horrible headaches and feelings of eye strain. And the closer they bring things, the blurrier it gets! At first holding things away helped, but then it's like their arms just aren't long enough anymore. It is a horrible, horrible visual disaster. If you or someone you know is suffering from these symptoms, and they are around the age forty mark, they are likely experiencing the effects of presbyopia. Presbyopia is the natural decrease in the visual focusing system's ability to clear near images. It happens to every single person at some point in time; some people are affected younger and some people aren't affected until their later 40s. What exactly is happening, though, to cause this change? Your focusing system is comprised of the lens and the muscles (the ciliary muscles to be precise) that help move the lens to adjust its focus. 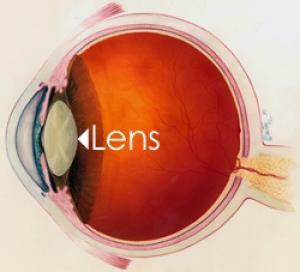 Remember from earlier posts about cataracts, the lens is one of those few structures in the body that never stops growing. It lays down layer after layer every year, making the structure thicker and harder for your eye muscles to adjust. When the lens gets too thick to clearly focus near images without substantial strain on your focusing system, then we have reached the point of presbyopia. I always like to reassure my patients that this is a change that everyone is going to go through eventually, and it is happening gradually over time (even though in most cases it feels like it happens over night!). How do we fix presbyopia? Just like any other refractive error (to many of my patient's grief that have never needed them before), the solution is glasses or contact lenses. 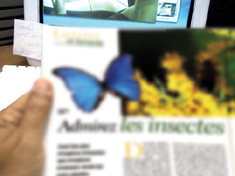 Some patients can just use reading glasses for fine print or computer use, and then remove them for any distance activities. Patients that also have a distance refractive error (like hyperopia, myopia, or astigmatism) will need bifocal (lined) or progressive (no line) glasses to correct for all ranges of vision. Multifocal contact lenses are also an option for some patients, but do keep in mind that vision won't be as clear at all ranges with multifocal contact lenses as they are with glasses. Many patients can get good results for most ranges, but contact lenses don't work for everyone. The focusing system will continue to worsen with time, so it is normal to need reading glasses adjusted in prescription every year or few years up until around age 65, when it reaches a maximum point. Over the counter readers don't work for everyone! If you have astigmatism or different prescription in each eye, store bought readers may not offer great quality near vision. Your best option is to get a full exam to determine what power of glasses works best. In a bind, try glasses on at the store and look at a magazine or cereal box to determine what power allows you to read clearly without fatigue. You cannot make your eyes worse by using reading glasses. If you do get readers that are stronger than you need, the only damage you have done is made your visual system more accustomed to higher levels of magnification. If you don't wear your readers or progressive or bifocal glasses for reading, your focusing system will not get any stronger by making it work harder. Your eyes will just get tired faster. There are no nutritional supplements that reverse presbyopia. I would very much like to know if someone finds one though because we could be very rich! In all seriousness, it is highly unlikely that any natural supplement would reverse the focusing system's decline because it is a direct result of natural growth and thickening of the lens. If you are myopic, you may see better without glasses on at near! You still have presbyopia, but because your eyes are naturally elongated or more curved at the cornea, your vision is set up to not use any focusing system power for close ranges. If you use the computer 6+ hours a day, you may undergo presbyopic changes as early as your 30s. This is due to the taxing stress on your focusing system from staring at a near object all day long. Remember to take breaks from the computer every half hour to blink and give your eyes time to look off into the distance to help protect the facility of your focusing system. Just remember, presbyopia is a difficult time --especially for those of us that have never worn glasses before! Eye care providers have tons of experience prescribing glasses for this change because every single person eventually goes through it. It may seem very trying at first if this is your first time wearing glasses or contact lenses, but with the appropriate prescription you will be seeing clearly again to do all of the reading and computer activities you enjoy.